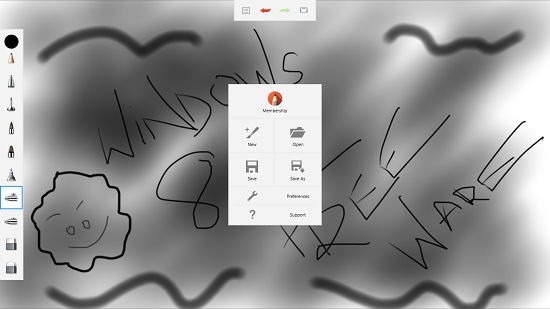 Autodesk Sketchbook For Windows Tablet is a free app for Windows 8 and 8.1 which makes for a great sketching app for Windows 8 and 8.1 devices. Coming from a reputed name like Autodesk, the app has all the essential features of a good sketching app. When you launch the app, you will be able to see the drawing controls on the left side of the screen. The app has a wide array of brushes which can be easily selected by clicking on the same. You can then go ahead and draw your sketch. The app works great on non-touch devices, although it works better on touch screens, and hence the name Autodesk Sketchbook For Windows Tablet. 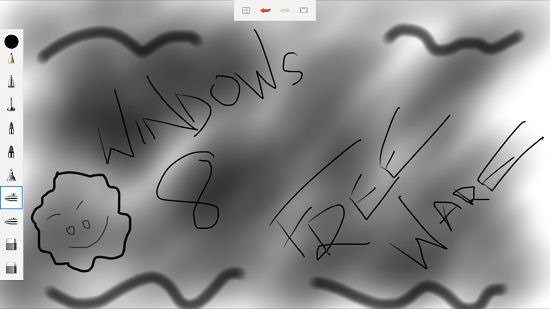 Autodesk Sketchbook For Windows Tablet is available for free from the Windows App Store. 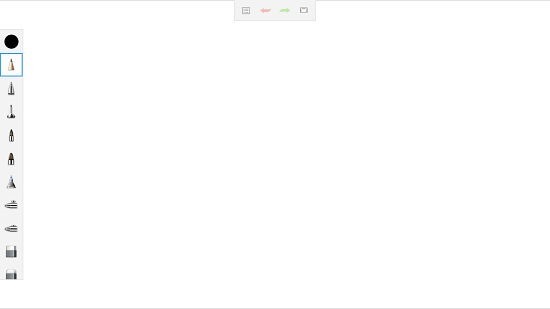 Autodesk Sketchbook For Windows Tablet when installed and launched on your device, will show you an interface as shown in the screenshot below. 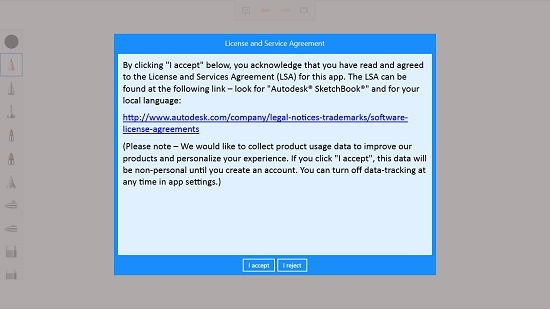 As you can see in the above screenshot, you will be asked to accept the Autodesk terms of service. When you have accepted the terms of service, you will be taken to the blank canvas of the app where you will be able to start your sketch. You can see the wide assortment of brushes at the left side of the screen. The undo and redo buttons are present at the top center of the screen. You can see a completed sketch in the screenshot below. In the screenshot below, I have used brushes of all types. You can also access the menu button at the top center to the left of the red colored undo button. The menu button allows you to save or open new files via the controls that allow you to do the same along with certain other options. This concludes the main features of Autodesk Sketchbook For Windows Tablet for Windows 8 and 8.1. Autodesk Sketchbook For Windows Tablet is a great sketching app for Windows 8 and 8.1 from the house of Autodesk. You can get it from the link below. Get Autodesk Sketchbook For Windows Tablet.